This is a rectangular Naugatuck Dairy Ice Cream porcelain sign. This particular Naugatuck Dairy Ice Cream sign is black with white text. 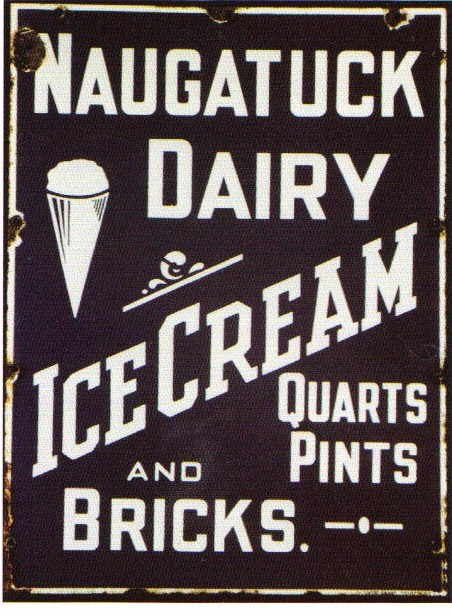 It reads, “Naugatuck Dairy Ice Cream, Quarts, Pints, and Bricks” and features a white ice cream cone.